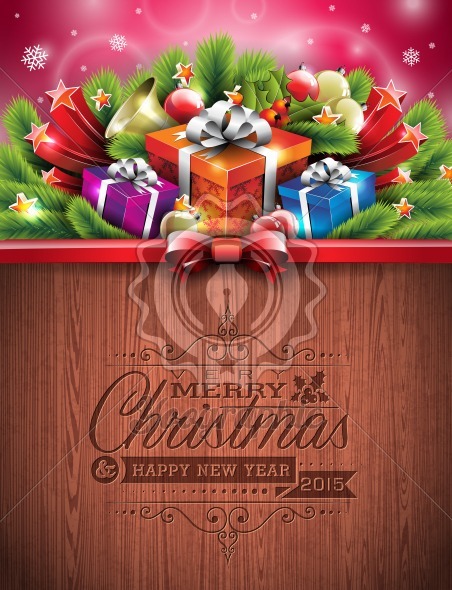 Engraved Merry Christmas and Happy New Year typographic design with holiday elements on wood texture background. Engraved Merry Christmas and Happy New Year typographic design with holiday elements on wood texture background. EPS 10 Vector illustration.